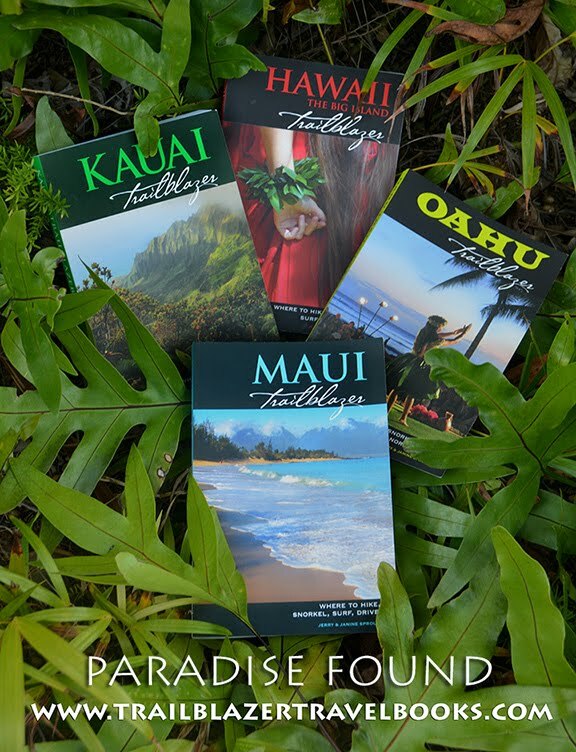 If you plan to get out and explore Kauai on vacation, pick up a copy and give it a good perusal before you leave home. The island's top attractions (like the Kalalau Trail, Waimea Canyon, and Poipu Beach) are easy to find—you really don't need a guidebook. 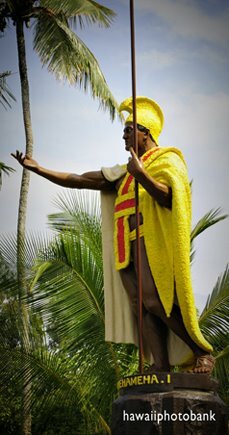 But to find the aloha of old Hawaii, you'll want some help. 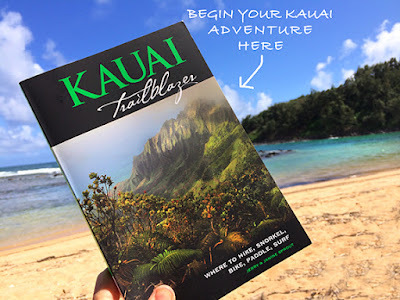 The authors have been exploring Kauai for over 20 years, and the fruit of their efforts is organized efficiently in their top-selling adventure guide. 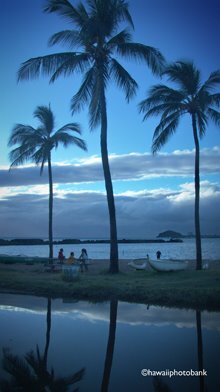 Here are a few examples of where you can find the aloha: Lawai Center (88 Holy Places of Kobo Daishi), Anaina Hou Community Park, Taro Patch, and the Hula Temple. 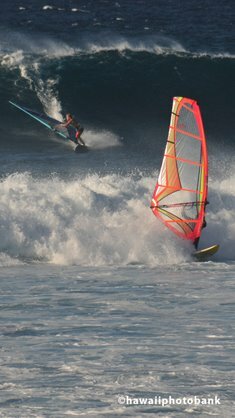 Kauai is Hawaii's best island for wild, hike-to beaches, and KT has directions to all of them, as well as many off-beat trails. 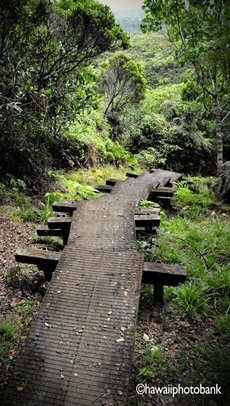 You'll also find all the town strolls (like Hanapepe, Hanalei, Kapa'a, Koloa, and Lihue). 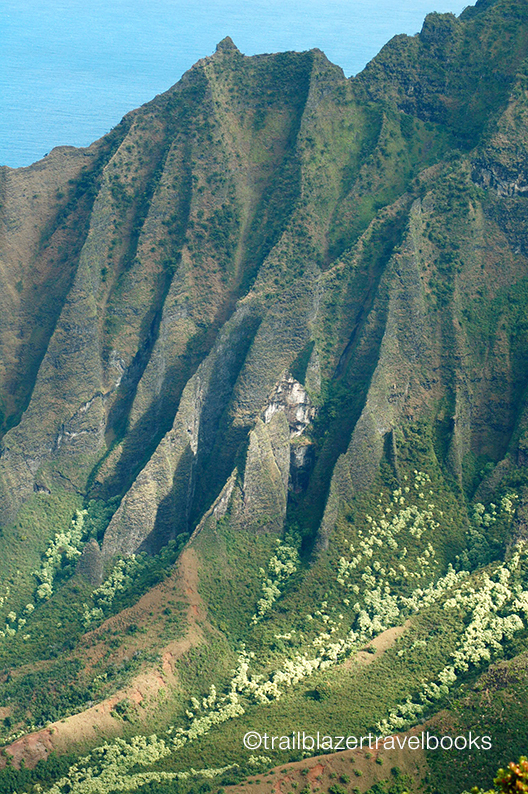 The Kalalau Valley, pictured above from the top of Waimea Canyon, sees scads of tourists. 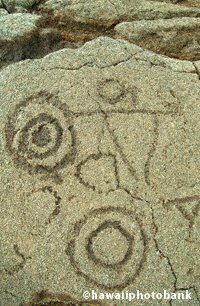 But there are dozens of other breathtaking ridge hikes in the area that you will have virtually to yourself. 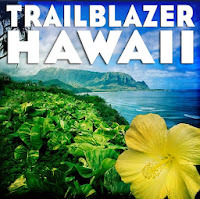 For independent and active visitors, Kauai Trailblazer is essential outdoor gear.